In some cases, our clients may need one-time cleaning or move-out cleaning services. The professionals at Smitty’s Janitorial Service, are able to accommodate such jobs. When you are moving your office, we can thoroughly clean your old location or ready your new one for you. We are also able to help landlords with post move-out cleaning when tenants vacate their apartments or other rentals. Some of our one-time cleaning and move-out cleaning services include readying homes to be placed on the market for realtors. When the property you will be selling is thoroughly cleaned, it will be placed in a much better light for potential buyers or tenants. When we are preparing for a move-out cleaning job, we work directly with you to determine exactly what needs to be cleaned, what your cleaning preferences are and the type of equipment we will need to use. We are available for move-in or move-out cleaning jobs and one-time cleaning projects both large and small. If you’re selling a multi-family unit and people break their leases or are evicted, we can give you the deep-cleaning results that may be necessary. If only a superficial cleaning service is desired, we can help with that as well. 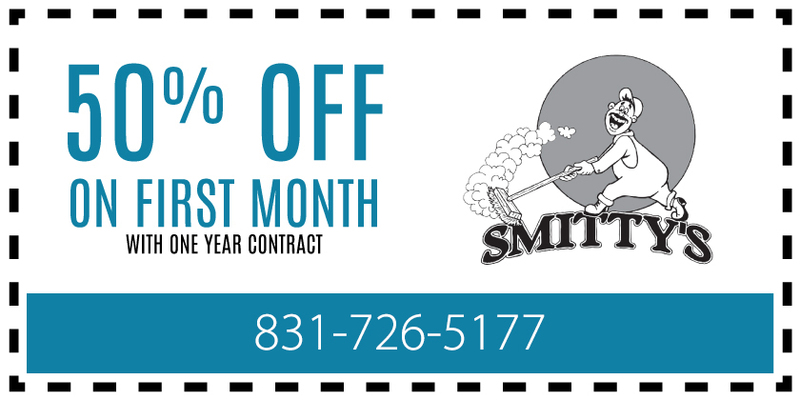 You can trust the professionals at Smitty’s Janitorial Service, to provide you with reliable and high-quality cleaning services. We are prompt, thorough and dedicated to giving you the type of results you deserve. We are also affordable. To learn more or schedule your consultation, we invite you to call us today. We have locations in Salinas, Monterey and Watsonville to better serve our customers.